This free standing retractable canopy is a must have for this season. 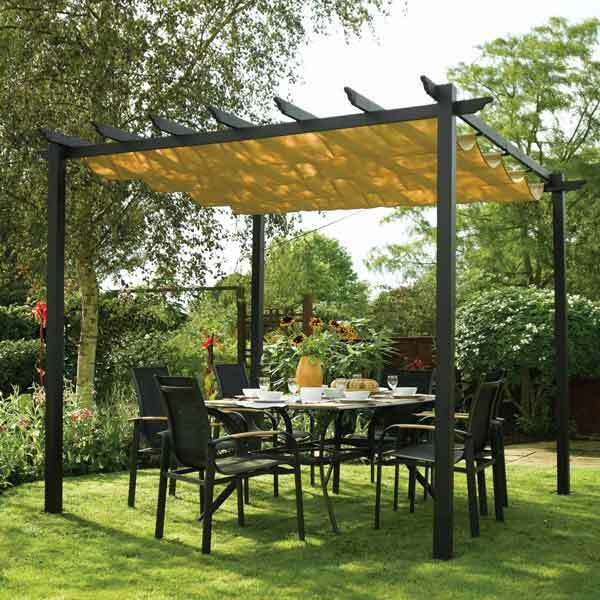 This multi-function canopy is made from a showerproof polyester fabric, offering protection from the hot sun or shelter from light rain, so an ideal way to dine, socialise or relax in the unpredictable British weather. This sturdy aluminium construction comes in attractive gunmetal grey powder coated finish, so will look stylish in any garden. The Latina canopy can be easily unhooked and put away when not needed in the winter months. This shelter comes with full assembly instructions.